On April 11, Eric Nam held a showcase for his 3rd mini album 'Honestly' at Muv Hall in Seoul. 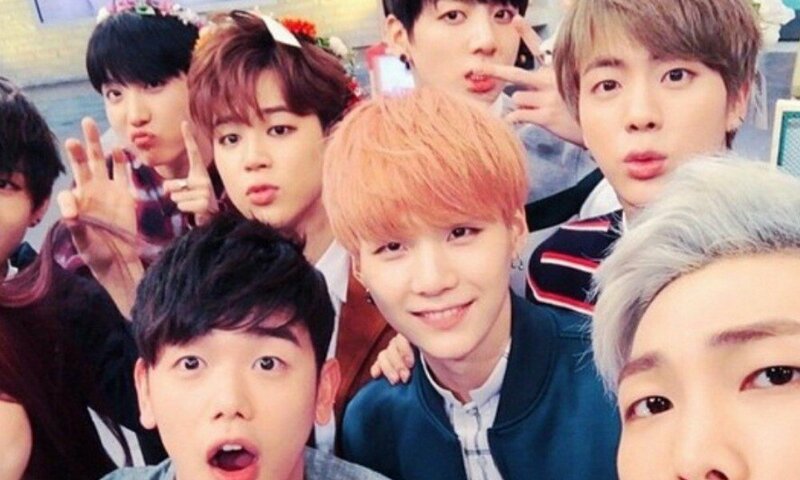 While talking about his new music, Eric Nam revealed that he gained helpful advice from members of BTS. He said, "Before the comeback, I asked for opinions by artists who're actively promoting. There's�Tablo�hyung�but BTS members also gave me a lot of feedback. I shared the entire album with several members. They told me, 'I think it would be better this way, and the lyrics will be better if done that way'. They also picked the title 'Honestly' for me. They're always overseas and I'm the older hyung but they gave me a lot of advice and I�feel like I gained a lot from them." Eric Nam added, "SUGA�told me that he heard the song with just the guitar and the melody sounded great. I gained confidence and was certainty realizing that I wasn't the only one thinking that way. I was so thankful."